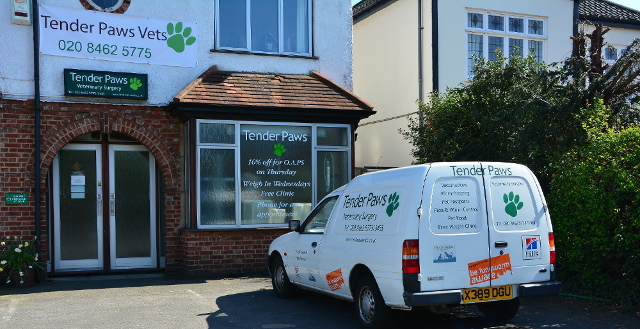 Tender Paws is a professional and caring veterinary surgery in West Wickham. Our premises has been a popular local vets for more than 40 years, and our team of vets, nurses, and receptionists possess a wealth of experience and expertise. Our mission is to provide a high quality service in all aspects of veterinary care. Find out more about our services and contact us to make an appointment. Attention all pet owners - Tick season is in full effect! It's that time of the year again... Just when you thought protecting your animal against fleas, mites and lice was sufficient, we have yet another creature to contend with. I'm sure many cat and dog owners will have heard of ticks and some will have had to remove them or seek veterinary advice for that "grey thing stuck to my animals skin", however it is important that animal owners understand the potential risks associated with these critter. For all enquiries and to make an appointment, contact us and let us know how we can help. Our friendly team will be more than happy to answer your queries and schedule an appointment.